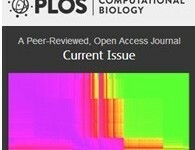 In collaboration with the Mitra Lab at Cold Spring Harbor Laboratory, MindSpec published an original research article in PLoS Computational Biology. Their study identified enriched expression of autism risk genes within the cerebellum, a brain region important for balance and movement. They first utilized the Allen Brain Atlas to analyze co-expression of 3000 genes throughout the mouse brain. They then compared co-expressed genes with the set of all currently known autism-linked genes, extracted from MindSpec’s autism database AutDB (http://autism.mindspec.org/autdb/Welcome.do). They pinpointed two networks enriched with autism risk genes, totaling 26 autism candidate genes from AutDB. Both networks showed significant overexpresssion in the cerebellum. The co-expression of these gene networks suggests that they possess similar neurobiological functions. Moreover, their location in the cerebellum confirms previous evidence that this region is important to the pathology underlying autism spectrum disorders. This research represents a joint venture led by Sharmila Banerjee-Basu, Ph.D., (MindSpec) and Partha Mitra, Ph.D. (CSHL). Their work was supported by was funded by funding from the Simons Foundation, which licenses AutDB as SFARI Gene, as well as a grant from: NIH-NIDA (R21DA027644-01). MindSpec, Inc. (http://www.mindspec.org/) is a nonprofit research organization utilizing innovative bioinformatics strategies to accelerate research on common neurodevelopmental disorders. They developed a publicly-available, manually curated gene database for autism, AutDB (http://www.mindspec.org/autdb.html). Founded in 1890, Cold Spring Harbor Laboratory (CSHL) has shaped contemporary biomedical research and education with programs in cancer, neuroscience, plant biology and quantitative biology. CSHL is ranked number one in the world by Thomson Reuters for the impact of its research in molecular biology and genetics. The Laboratory has been home to eight Nobel Prize winners. Today, CSHL’s multidisciplinary scientific community is more than 600 researchers and technicians strong and its Meetings & Courses program hosts more than 12,000 scientists from around the world each year to its Long Island campus and its China center. Tens of thousands more benefit from the research, reviews, and ideas published in journals and books distributed internationally by CSHL Press. The Laboratory’s education arm also includes a graduate school and programs for middle and high school students and teachers. CSHL is a private, not-for-profit institution on the north shore of Long Island. For more information, visit www.cshl.edu.